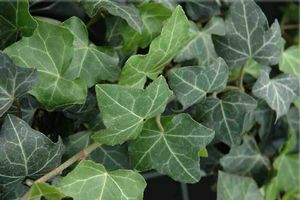 The dark green evergreen leaves have distinctive white veins and are slightly smaller than H. helix, climbing rapidly up to 40’ or to a height of 8-12” as a ground cover. 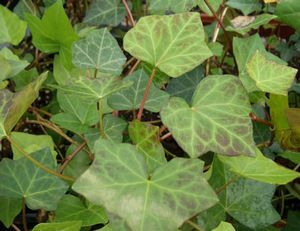 Juvenile leaves have 3 to 5 lobes whereas adult leaves are diamond-shaped. Prefers loamy soil and average moisture. Provide partial shade and protection from winter damaging wind. 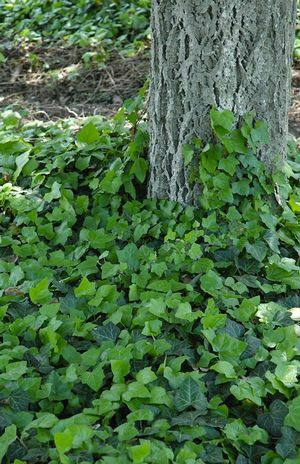 Due to its aggressive nature, take care to avoid planting near woodlands or in other sensitive areas.